As a small business owner, you may not have the resources to be able to hire a web design agency to develop a website for you. There are many different website building tools on the market you can use to create your own website at a fraction of the cost. 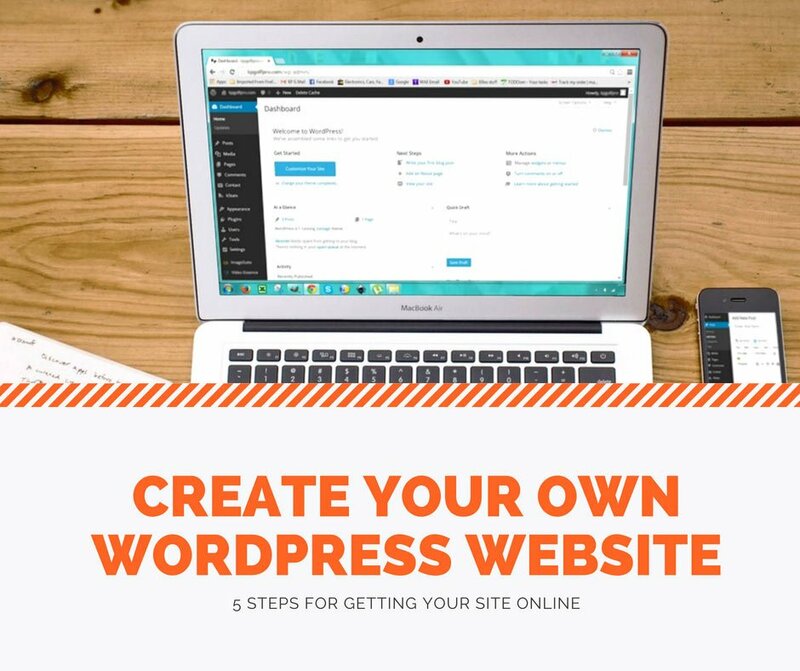 Follow these tips to get started in creating your own website in WordPress. You can go for a generic extension such as .com or go for a local domain name extension such as .com.au for Australia. Note: there are eligibility requirements for purchasing .com.au and .net.au domain names and you will most likely need a business or ABN in order to register one of these domains. Start off by searching for your preferred domain name, if it is taken then try variations such as using an acronym or adding ‘the’ before the name. You could also consider different extensions such as .net, .co or .biz. Try to keep the name as short as possible. This can be difficult when many of the one and two-word names are already taken, so try different variations and if you are stuck for ideas you can try a domain name generator tool. You need hosting to get your website online and shown to your customers. Most domain name providers also provide hosting, so you can bundle both together. Alternatively, you can buy them from separate organisations and point the domain to your hosting provider. You would do this by logging in to the account associated with your domain name and updating the DNS settings to point to your hosting provider’s servers. Most domain and hosting organisations provide support pages on their website to guide you through this setup. This website is hosted by SiteGround who specialise in WordPress websites, they also sell domain names. SiteGround was chosen as the web host primarily due to their speciality in WordPress websites and I was looking for a host that would provide faster loading time, which is important for SEO. They also have excellent customer support and security. After purchasing hosting, your provider will send you log-in details to your hosting account so that you can set up your website. 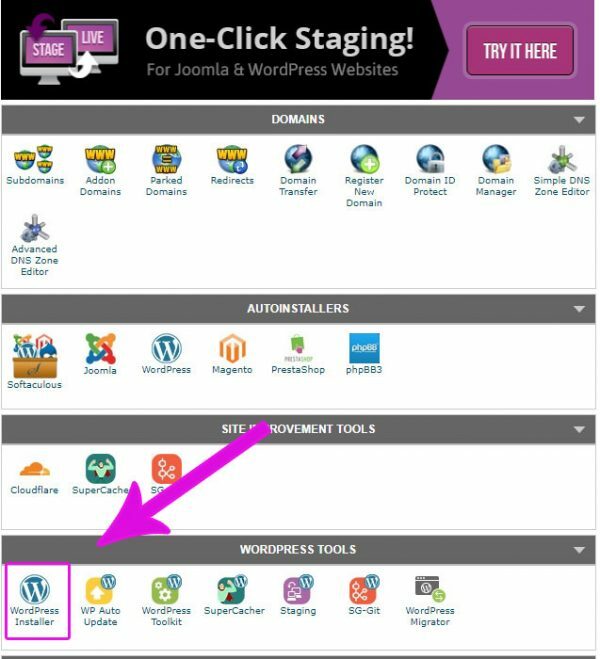 Once you have your domain name and hosting ready, log in to your CPanel or admin area and install WordPress. If you have set up your hosting via SiteGround, you can get to the install screen by logging in to your account, click on the ‘My account’ tab then click on cPanel. Click on WordPress Installer and follow the prompts. Here you will see the default themes and if you would like to add a new theme you can click on the “Add New” Button and browse various themes. You can also browse themes on the WordPress.org website or explore theme sites such as envato market. This website uses the Avada theme: which makes it easy to customise web pages and create different layouts. The fusion builder drag and drop interface with a variety of different elements from image carousel to buttons and tabs make it possible to build a custom website without needing coding knowledge. Create your first web page and upload your copy and any other content you have such as images and video. You can do this by clicking on ‘pages’ then ‘Add New’. Make sure your content is optimised for SEO: You can read our SEO Tips for Content Editors here. Save your content as a draft and preview the content before publishing to check that the web page looks great.